Calls for a votes recount in the December 30, 2018 Presidential and parliamentary elections in the Democratic Republic of the Congo came from countries in Africa, Europe, and North America and from international organizations such as the United Nations (UN), the Southern African Development Community (SADC) and the African Union (AU). However, the Congolese government ignored them and instead asked for the respect of D.R. Congo’s sovereignty and cautioned about any meddling attempt in DR Congo’s internal affairs. 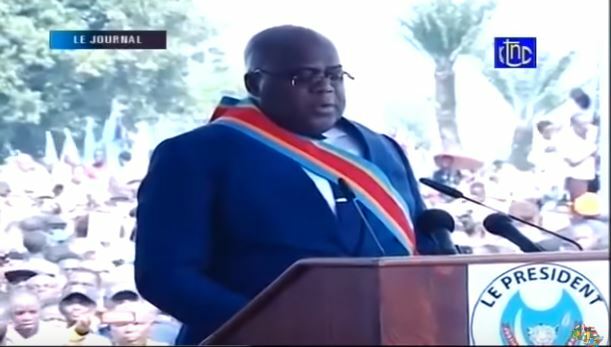 They all alleged that the outgoing President Joseph Kabila made a deal with one of the main opposition candidates Mr. Felix Tshisekedi to keep his political influence beyond his term. All sides accused each other of trying to override the will of the Congolese people by nominating and imposing a president who was not elected. The Catholic Church was the first to predict that the winner of the presidential elections was one of the opposition candidates based on the reports from its 40.000 election monitors it dispatched across the country. After the electoral commission released the official results in favor of Mr. Felix Tshisekedi, the Catholic Church quickly pushed back saying that its data shows that the winner was the opposition leader Martin Fayulu. Leaked information from the electoral commission is said to confirm the Catholic Church’s claim. In the meantime, media commentators and politicians are speculating on why the outgoing President Kabila rigged the elections in favor of the opposition instead of his own chosen candidate Mr. Ramazani Shadari. The D.R. Congo’s Constitutional Court ruled against Mr. Martin Fayulu after he filed a legal challenge to contest the results. After the Constitutional Court’s ruling many who initially were calling for a recount, except the National Episcopal Conference of Catholic Bishops in the Congo, rallied behind the decision of the constitutional court by sending congratulatory messages to the president elect. Felix Tshisekedi is the 5th President of the D.R. Congo and Joseph Kabila is the first President to peacefully hand over power to a successor. The current President of the Democratic Republic of the Congo’s inaugural ceremony was on January 24, 2019.